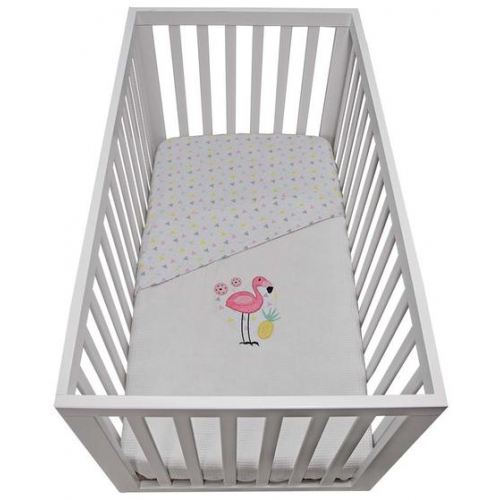 You are going to love our gorgeous waffle cot blankets. Backed with our premium soft and breathable cotton jersey, our waffle blankets are perfect all year round and super snuggly! We have our super soft cotton waffle especially made with a tight weave to prevent snagging. 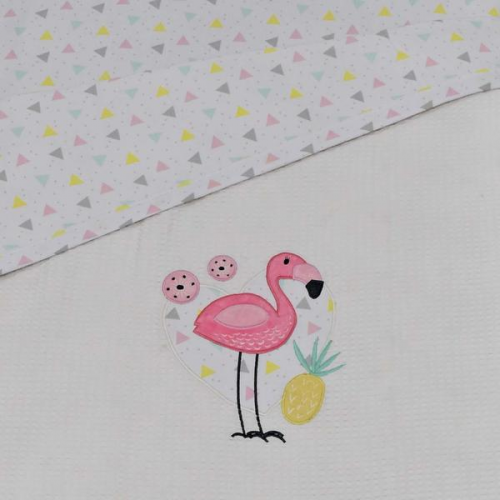 Featuring a cute flamingo applique with sweet sprinkles jersey backing and trim.